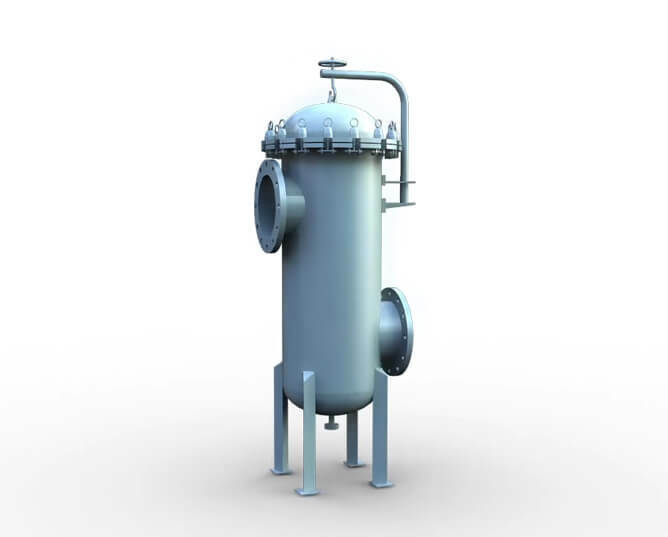 Basket filters & strainers will permit the straining & filtering of a wide variety of fluids, to retain solids of almost any size. All baskets are easily removable & cleanable. 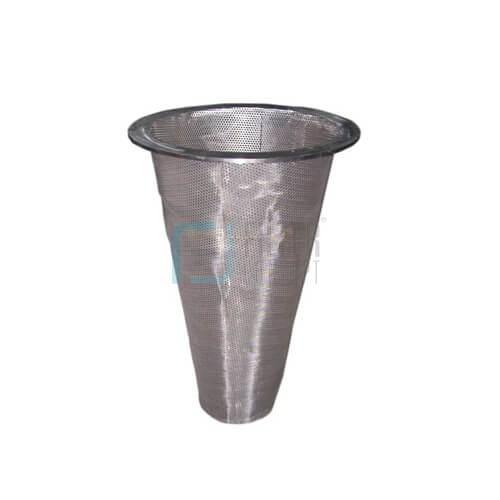 Basket strainer elements can be offered in single cylinder, double cylinder, multi cylinder & pleated design depending upon requirement of application. 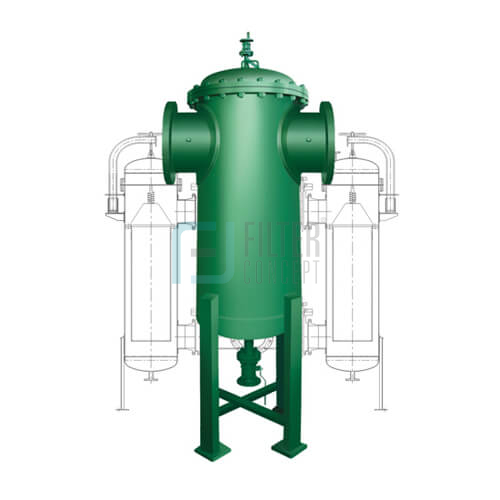 They are constructed of filter housing, filter element supported with perforated cage, positive sealing arrangement to avoid any bypass & choice of end connections. Unfiltered liquid enters the basket housing and passes down through them. 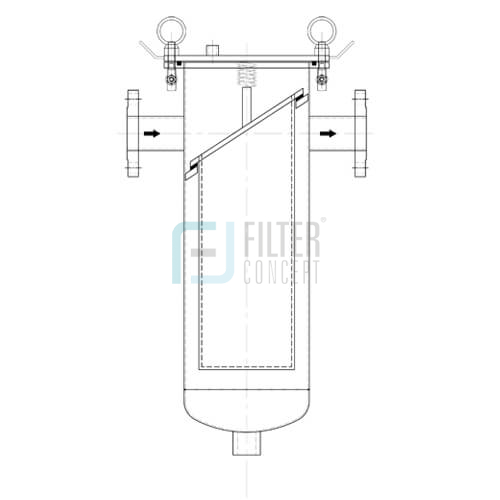 Solids are retained inside / outside of basket depending upon design and are removed when the unit is serviced.They are available with insitu backwashing arrangement, wherein removal of baskets for cleaning is not required often. 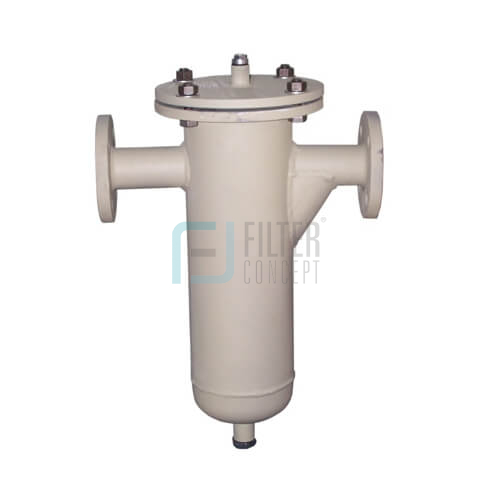 Basket filters & strainers are normally supplied with spring arrangement at the top of filter element. 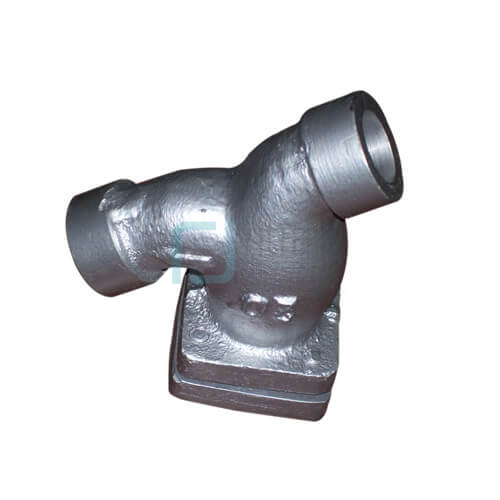 This will ensure any type of bypassing & confirm the position of basket, even in case of reverse flow. 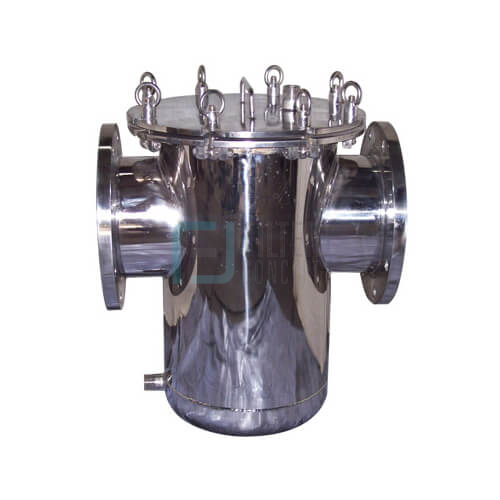 Fluid bypass around the basket is prevented by an optional O’-Ring seal between the basket rim and the housing inside diameter. Duplex basket filter & strainer permits continuous operation because flow can be switched back and forth between two filter sections. This allows one side to be serviced while the other is in use. 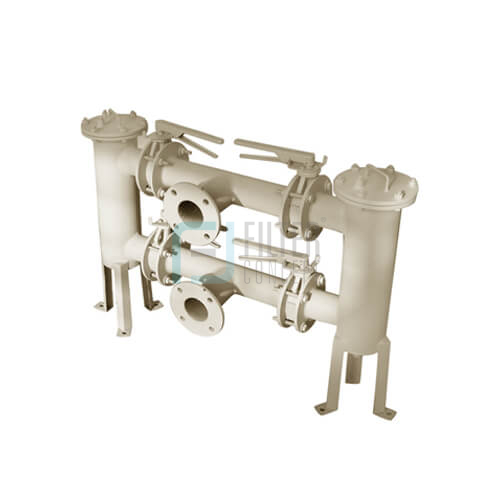 Normally duplex basket filters are separated with three way ball valves or two way ball valve/ butterfly valve connected with equalization tee, between two baskets filter housing.